Radio Theology? Seriously? Not really. Alright. 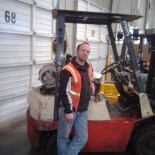 I am stepping away from the forklift again. To that end, I suppose I will explain the picture above first. 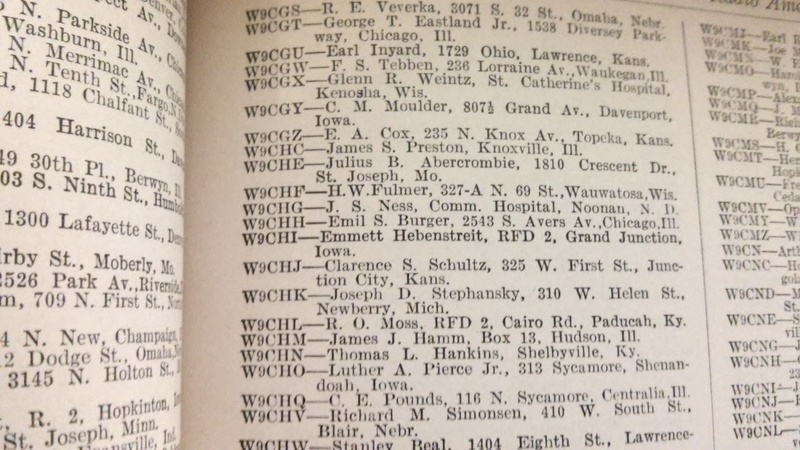 The picture is simply a snapshot I took from the 1939 Amateur Radio Call Book. What is significant about that snapshot? W9CHG. What? J.S. Ness? Yes. In 1998 I got my first Amateur Radio license. My call sign was KF6SNJ. However, I became interested in Amateur Radio nearly a decade before I got my license. J.S. Ness was the reason why. It was in his garage that I found a copy of the Radio Amateur Handbook, and a 1934 Patterson PR-10 radio receiver. Today, that radio receiver is sitting on my workbench, awaiting restoration. The simple fact of the matter that J.S. Ness was my great-grandfather. Amateur Radio is a part of my family heritage. What does this have to do with the Christian faith? The Bible is filled with several genealogies. These genealogies are very important to our faith. They are a part of our faith heritage. These genealogies give a record of who did what and when. This means that we have a record of the people and events that shaped our faith, culminating in the life, death, and resurrection of our Lord, Christ Jesus. As we progress through the Lenten season, we should consider the events of our faith heritage. This means considering our need for a savior, due to our sinful nature and actions. In like manner, we should consider God’s promise to provide a savior, which was fulfilled when Jesus was born in Bethlehem, died upon the cross, and rose from the grave. Because God did this, we can find grace and forgiveness. My great-grandfather provided, though somewhat accidentally, the means that led me to my first amateur radio license. Likewise, God provided, quite intentionally, the means for our salvation. Just as amateur radio is part of my family heritage, Adam’s fall and Christ’s redemption are part of our faith heritage. This was done quite outside and apart from us. It was not our choice, it was God’s choice. The season of Lent is upon us. The kingdom of Heaven is at hand. Repent and believe the Gospel. It is God’s plan to save us from our sins. This entry was posted on 22/02/2015 by Christopher Rose in History and tagged Amateur Radio, Bible, Christ Jesus, Faith, genealogies, God, Gospel, heritage, kingdom of Heaven, Lent, repent.